The Period End function should be run on a daily basis OR in the worse case every couple of days. Posing the Period End monthly is not encouraged. NOTE: This step is VERY IMPORTANT. Posting transactions that are outside the allowable posting dates in the accounting program WILL CAUSE SIGNIFICANT errors in the accounting program that could lead to posting errors. 12. 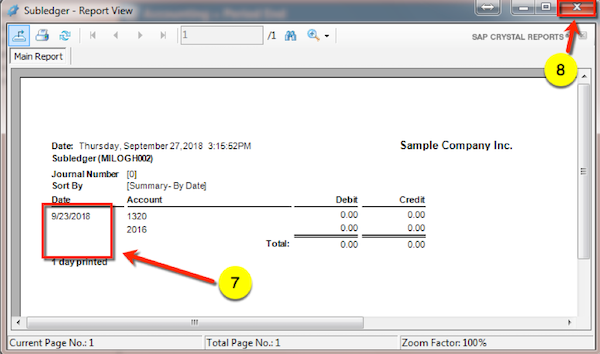 MISys will show the journal number used for posting, click on the “OK” button.